The following hearty dish, is perfect for a cold day. 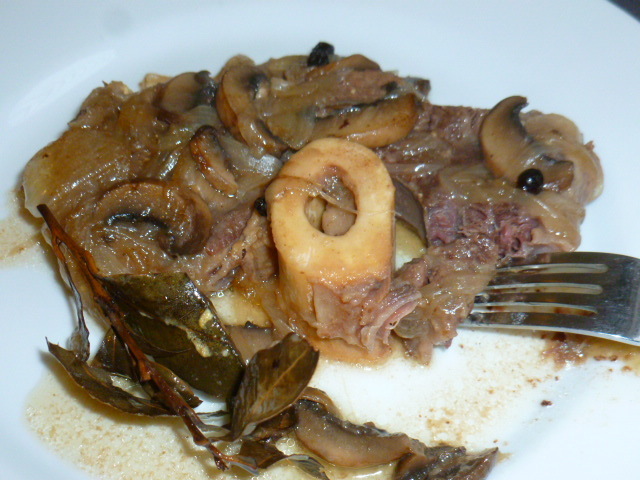 The Ossobuco steak (cross-cut beef shank, with the bone in the center), is one of the richest and tastiest cuts. 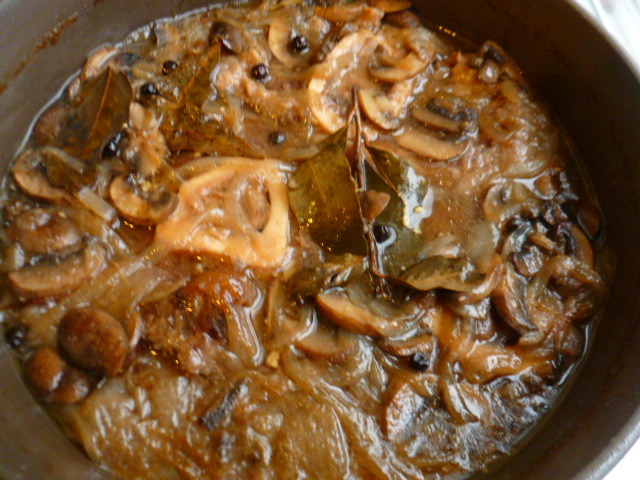 Inspired by the traditional “ossobuco in bianco” (ossobuco in white sauce) dish, that originated around Milan, I’ve decided to cook it with smothered onions and mushrooms, beef stock, white wine, mustard, juniper berries and bay leaves. The result was a falling-of-the-bones tender meat and bone marrow, with rich and aromatic sauce. The dish is very easy to prepare, and the actual cooking time is short. The rest of the preparation is done by the oven, as you just place the pot in it and let it braise and develop wonderful flavors slowly. Served with crusty bread and a nice wine on the side, it makes for a great dinner, that can be prepared a day ahead and reheated just before serving. Try it and enjoy. * While the bones add wonderful flavor to the dish, if you can’t find this specific cut, you can replace it with fatty stew meat instead. * Though they resemble blueberries in their shape and color, juniper berries are actually not real berries, but a type of seed cone of the juniper bush. They are mainly known for flavoring Gin, but they are also used to flavor meat stews. They can be somewhat bitter, so make sure to use them in moderation. * For the version with tomatoes and gremolata, check THIS post. 1. Heat 1 Tbs of the oil in a large, shallow pot, over medium-high heat. 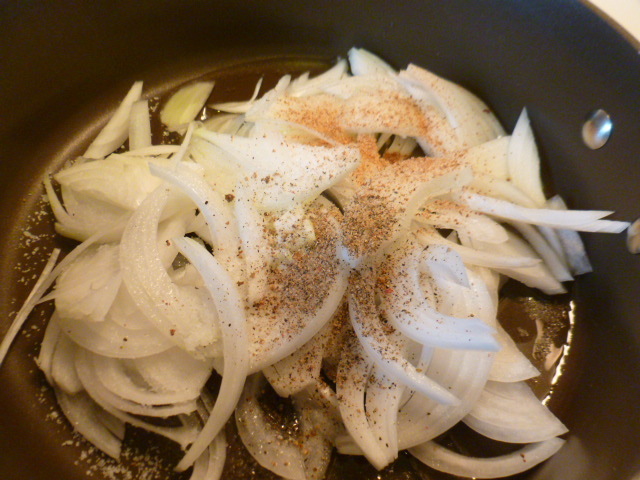 Add the sliced onion, 1 tsp of the salt, nutmeg and pepper, and mix well. Sauté, mixing occasionally, until the onion softens. 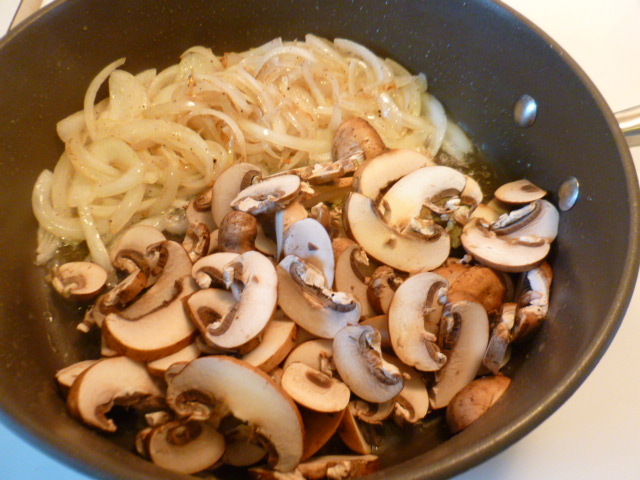 Move the onion to one side of the pot and add the mushrooms. 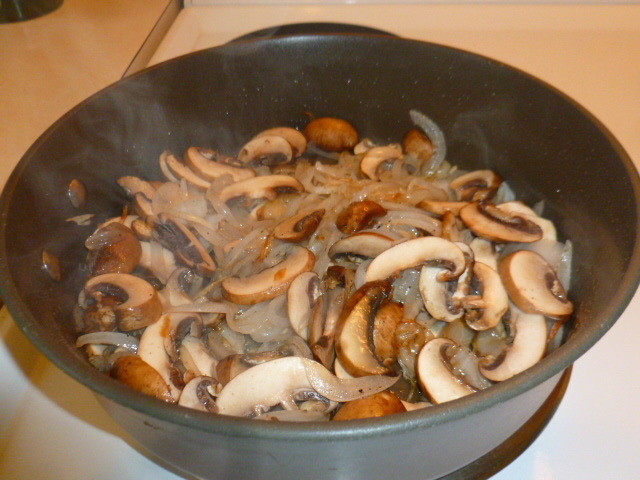 Sauté, mixing occasionally, until they start to brown. 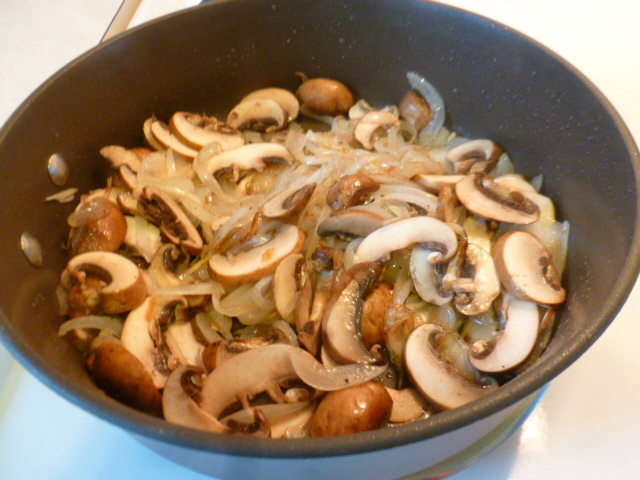 Mix with the onions and sauté, mixing occasionally, for 2-3 minutes longer. Transfer to a plate. 2. Add the remaining 1 Tbs oil to the pot. 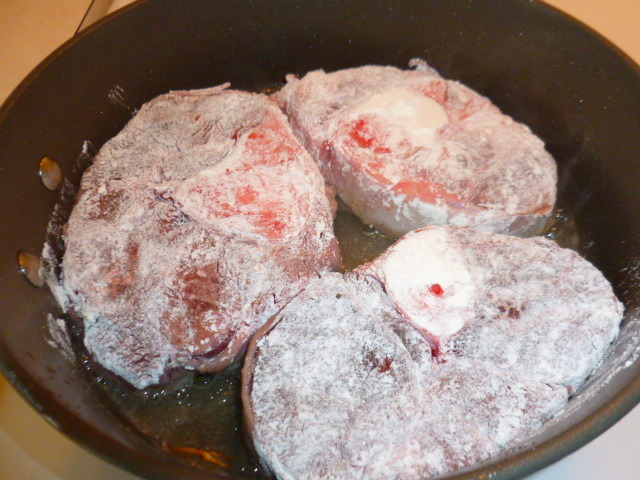 Dust the steaks with flour and add to the pot. Fry for 2-3 minutes on each side, until nicely browned. 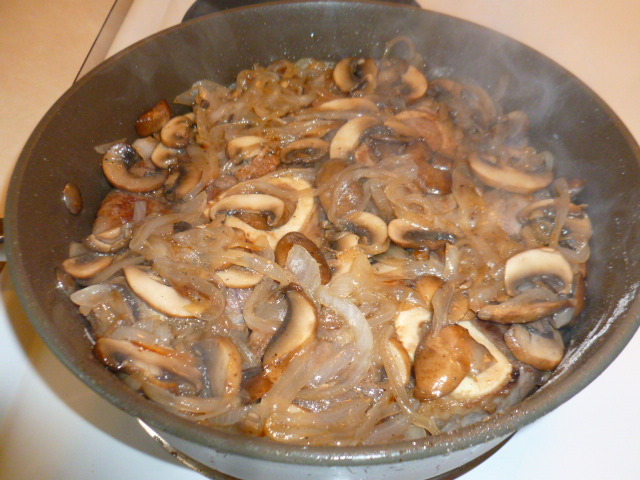 Add the fried onion and mushrooms, rest of the ingredients, beef stock, wine and mustard, and mix well. 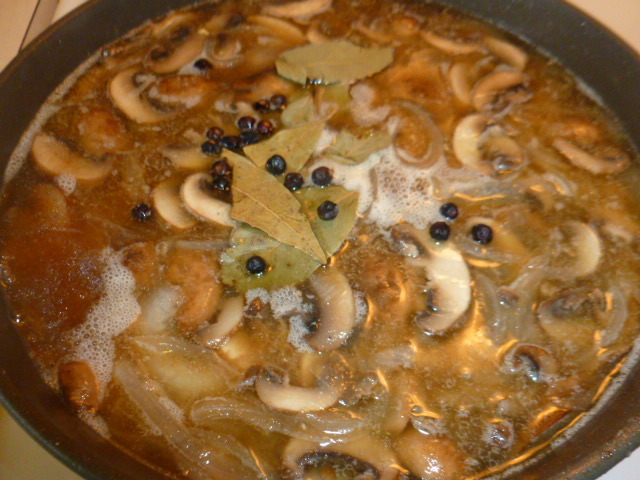 Add the bay leaves and juniper berries on top, and bring to a boil. Taste and adjust seasoning if needed. Cover the pot, lower the heat to medium-low and cook for 20 minutes. Meanwhile, preheat the oven to 205F (95C). 3. Place the covered pot in the oven and braise for 2 hours. Increase the oven temperature to 250F (120C), uncover the pot and braise for 30 minutes, until the meat falls off the bones and the sauce thickens. 4. The dish can be served at this point, however, it will taste even better the next day. If you choose this option, let the dish cool to room temperature, then place, covered, in the fridge, overnight. Bring to room temperature before reheating gently, covered, on stove top. Haven’t ever tried this. They look really good – tempting!! 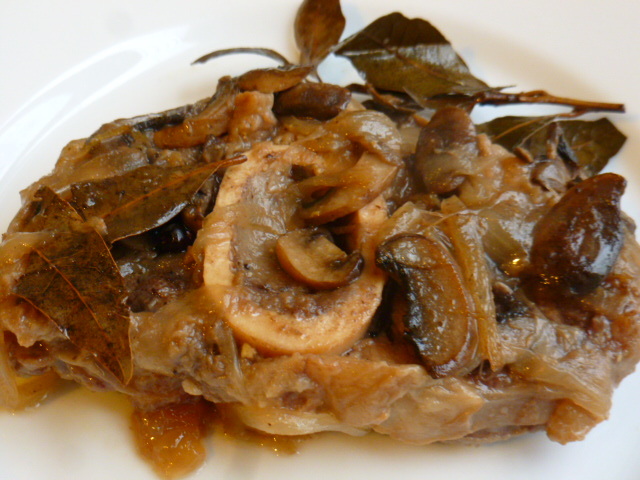 I love Osso Buco but never even considered making my own. Now, thanks to you, I’m considering it! A real winter warmer! I especially ike the idea of using nutmeg, juniper and bay, a great combination. I have never made this dish but it sure looks tasty with all those onions. I just love this. I’d probably still serve it with gremolata… Such good stuff! 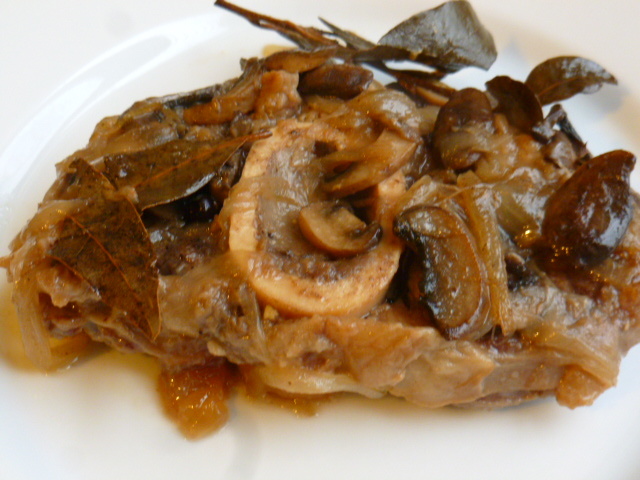 I’ve only made osso bucco once, so I need to make it again! Thank you Mimi, I’m glad you liked the dish. It’s so perfect for cold weather. I prefer Gremolata with tomato-based Ossobuco, but of course it can be good here as well. I really like dishes like this that can be popped into the oven for several hours. It looks perfect for these cold winter days. Thank you Sheryl, I’m glad you liked the dish. Such make-ahead dishes are indeed perfect for winter. My husband would love this! Juniper berries – fascinating, Ronit! I’ll start searching for them, thank you. This really looks good; definitely on my to do list. Thanks. I’m catching up on your posts and what a delicious dish I’m now reading about. 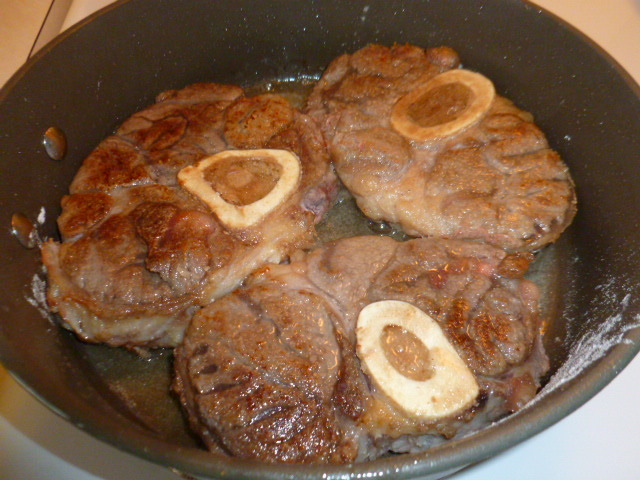 I’ve never seen osso buco cut into steaks…I’m going to have to ask our butchers if they could do that.